The site is a Major Development Area of approximately 74 hectares containing the urban fringe, overgrown and derelict land, old tips, marshland and actively managed farmland. Straddling Arlesey High Street, located between the main line railway and the A507 bypass, the site was divided into 14 separate Land Registry ownerships. 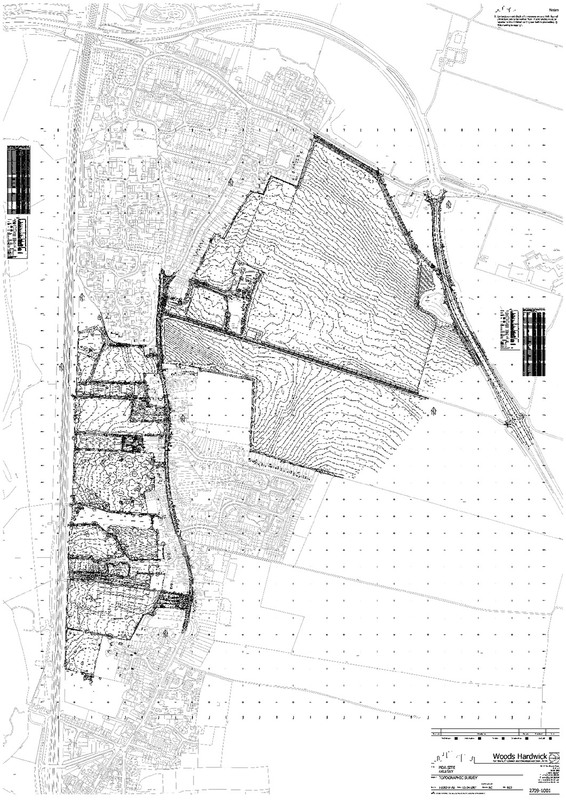 Woods Hardwick was appointed by a consortium of six clients including Central Bedfordshire Council, to prepare a detailed topographic survey of the entire site. This included a further 10 hectares of offsite detail including a 1.1km section of High Street for traffic calming and junction designs,as well as a substantial section of the bypass for the construction of the major spine road roundabout. We provided a constraints plan based on the survey, detailing all statutory services and reconciling the numerous HMLR title plans with the surveyed site features. A substantial number of permanent survey stations have been established around the site to ensure all future engineering and setting out works are rigorously controlled on this continuing project.